This Friday released out of several Hindi movies, Riteish Deshmukh and Nargis Fakhri starrer Banjo is getting highest response on box office. Ravi Jadhav’s directorial has been released with decent pre-release buzz among audience but registered below average opening business due to mixed reviews of critics as well as moviegoers. Before the release because of wide scale promotions and good craze of audience, Banjo was expected to take atleast decent start on box office. But in theaters audience is looking more interested in last week released social thriller Pink, instead of this newly released musical drama. On the opening day, Banjo started on a low note and recorded overall 15-20% of occupancy across India. Due to mixed reviews, it remained flat through out the day and minted the amount of 1.72 crore. The opening business of Riteish starrer was lesser than the 8th day’s business of Shoojit Sircar’s Pink (3.15 crores). Then on the second day i.e. Saturday, it showed slight rise in its business and added the amount of 1.95 crore to its account. With this, 2 days total collection of the movie has become 3.67 crores on domestic box office. To register a respected opening weekend total, Banjo has to take big jump on Sunday which doesn’t seem possible. On the other hand, rest noticeable offerings of this week – Days of Tafree, Parched & Wah Taj are getting very low response on box office. 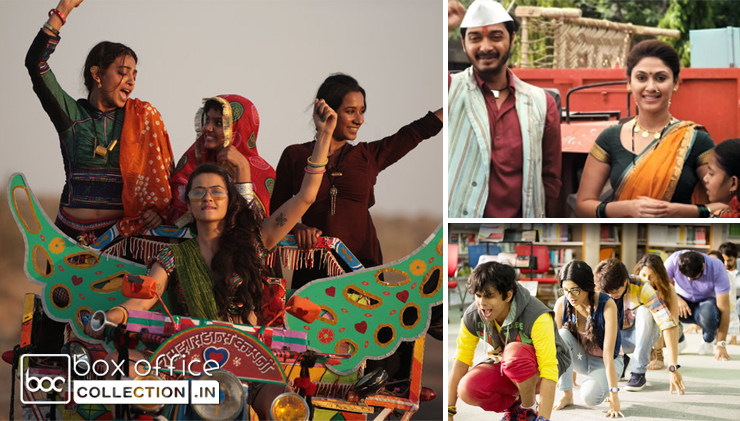 On the opening day, these reported the business of around 0.45 crore, 0.12 crore & 0.20 crore respectively across India. On Saturday, two of them witnessed almost similar response as Friday and one i.e. Parched recorded more than 80% of growth. They have added the amounts of 0.40 crore, 0.22 crore & 0.21 crore respectively. None of these three, is expected to survive after the weekend on box office.